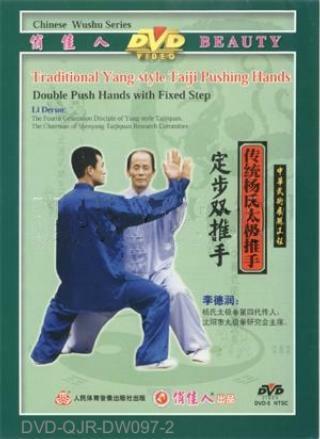 The content of this Double Push-Hand includes: On the basis of single push-hand and now emphasized on the inter-relationship between the two arms. It requires that with one hand to lead and the other to follow and only if you can do that, you can then neutralize your opponent's attack at chest. The verse says: move spirally to neutralize your opponent's force by the Tanzhong point.